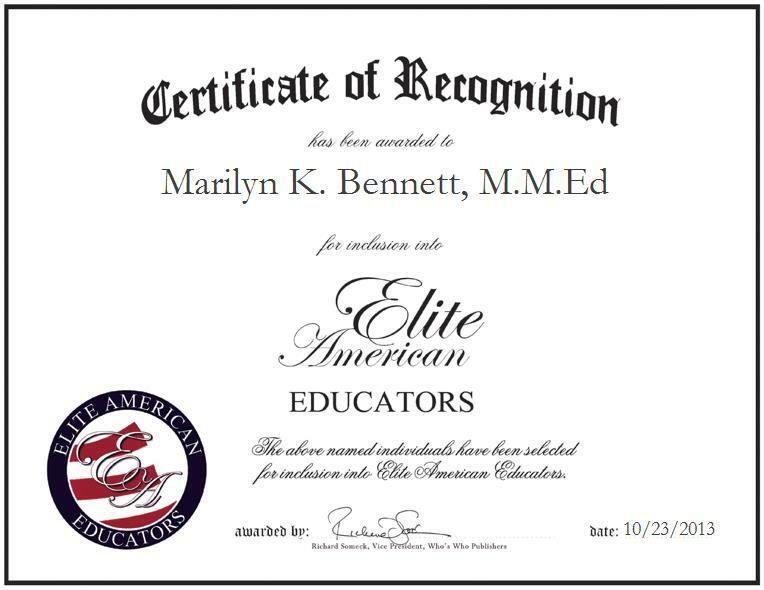 Marilyn Bennett is the associate director of bands for Olney ISD, a school district in Texas. Ms. Bennett has been in her position for the past six years and has a total of 36 years of experience in the education field. As the director of bands, Ms. Bennett is responsible for teaching show choir class and music history, which is directly associated with music. She is an award-winning educator who keeps abreast of changes in the industry through her affiliation with the Tri M Music Society, Texas Music Educators Association, Association of Texas Small School Bands, National Band Association, and Women Band Directors International. Ms. Bennett earned a Master of Music Education and Bachelor of Music Education at Midwestern State University.